Ratropolis - Living with Rats is Currently Under Development! Please enjoy the content below while we work on the other topics. 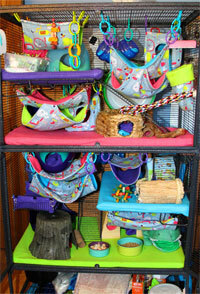 Are rats the right pet for you? What makes them so special? Want to make your own hammocks? It's really not that hard. Find instructions for everything from the basic standard flat hammock to pocket hammocks of all sorts, cubes, tubes, bunks, honeycombs, double deckers, and more. There is even a tutorial for a no-sew flat if you don't have a sewing machine at hand. 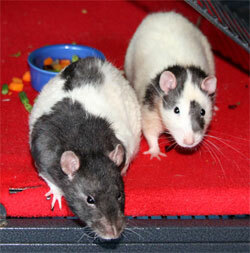 Take a moment to check out the ratties in our crew - past and present. Every single one of them has touched our lives in a totally unique way. Anything rat can show up here, from rat product reviews to discussions about rat care, to updates about the Ratropolis rats, to rats in literature and the arts, and rats in the news.